Blocking is an associative learning process that is attenuated in schizophrenia, can be modulated by cue salience and is accompanied by changes in selective attention. Repeated exposure to ketamine can model aspects of schizophrenia, and frequent users selectively attend to images of the drug. This study aimed to establish whether (1) ketamine users show attenuated blocking to reward-predicting cues and (2) drug cues can modulate blocking and cause overshadowing of neutral cues that are equally predictive of reward in these individuals. Ketamine users (n = 18) and polydrug controls (n = 16) were assessed on the Drug Cue Reward Prediction Error Task, which indexes blocking and overshadowing to neutral and drug-related cues following Pavlovian reward conditioning. Schizotypy, depression, drug history and ketamine dependence were also assessed. Compared to controls, ketamine users showed elevated delusional, schizotypal and depressive symptoms, and a reduction in blocking as evidenced by higher accuracy to blocked cues. 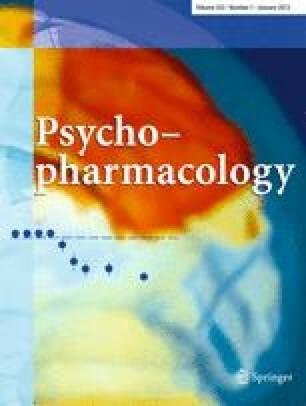 Drug-related cues were resistant to blocking and seen as more important for earning money by ketamine users compared to controls. Both groups showed overshadowing of neutral cues by drug cues, and ketamine users gave both of these cues higher importance ratings than controls. These findings provide the first evidence that (1) glutamatergic perturbation is linked to a reduction in blocking and (2) blocking can be modulated by the presence of drug-related cues. The ability of drug cues to bias selective learning about ‘alternative rewards’ has implications for contingency management based addiction treatments. This study was funded by an interdisciplinary MRC/ESRC studentship to TP Freeman. We would like to thank Tom Beesley and Beatriz Orgaz for their assistance and all volunteers for taking part.